Receive multiple estimates for professional telemarketing services with no obligation to buy. As a service to site visitors, Trade-Show-Advisor.com has arranged with BuyerZone.com to provide free price quotes from quality, independent suppliers of outbound telemarketing services. Receive customized price quotes via email, fax or phone. Select the best solution for your needs – and save time and money. Having price estimates in advance helps facilitate sales and marketing planning and the effectiveness of lead follow-up... all essential to trade show success. In addition, you will save valuable time by only submitting one request and receiving a variety of estimates in return. 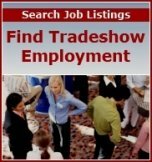 BuyerZone.com is not affiliated with Trade-Show-Advisor.com and has established relationships with expert suppliers in a multitude of geographic locations to offer highly competitive pricing on telemarketing services across the United States and Canada. You are under no obligation when using this independent service and quotes are always complimentary.